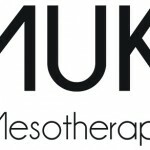 The Society of Mesotherapy of the United Kingdom (SOMUK) was formed in December 2013 to promote and support the development and use of mesotherapy in the UK. Mesotherapy, having a history of over 50 years and being a popular aesthetic treatment in France, South America, and Europe, remains relatively new and unknown to many aesthetic practitioners in the UK. The SOMUK aims to transform this by promoting mesotherapy to practitioners and promote the treatment to the aesthetic market. The SOMUK will support these aims by bringing together the knowledge and expertise within this specialist field of aesthetic medicine from practising specialists within the UK and Europe. 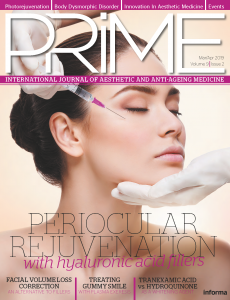 The Society will benefit health professionals by providing them with access to the latest mesotherapy tools, information, research and protocols for all disciplines of mesotherapy, including facial rejuvenation, lipolysis–lipodissolve, fat reduction, cellulite, MesoSculpting, Mesolift, Mesobotox, alopecia and pain management. The SOMUK teaches the art, science, techniques and procedures of mesotherapy to licensed practitioners, regardless of their speciality. We provide education and hands-on training in both the UK and worldwide. Members will be able to tap into this resource and grow their knowledge and skill base within mesotherapy and promote the SOMUK’s aims to bring mesotherapy to the forefront of aesthetic medicine in the UK. Through our Board Certification courses, practitioners will gain comprehensive education and technical training in the evolving science of mesotherapy to equip them with the skills to develop this relatively new field of aesthetic medicine within the UK market. The SOMUK is the exclusive member of the SIM, the International Society of Mesotherapy and works closely with the French Society of Mesotherapy. All our courses are CPD accredited in the UK.